AMBOTS Inc. is commercializing the patent-pending swarm 3D printing and assembly technologies invented by the AM3 Lab in the Department of Mechanical Engineering at the University of Arkansas. Originally conceived in 2015 by Dr. Wenchao Zhou, the founder and director of the AM3 Lab, swarm 3D printing and assembly was further developed by teams from both the AM3 Lab and the SiDi Lab directed by Dr. Zhenghui Sha. This technology aims to automate manufacturing with a swarm of smart and autonomous mobile robots, from everyday products to houses and infrastructures. Just like how a swarm of bees or wasps would work together to build their nests, the swarm of smart mobile robots can work together to print and assemble products based on digital models on demand. AMBOTS stands for Autonomous Mobile roBOTS and Advanced Manufacturing roBOTS. AMBOTS envisions a civilization where manufacturing is fully digitized and automated with a swarm of advanced manufacturing robots such that customized products can be manufactured on demand at low cost based on digital designs. Automation has been a central theme throughout the history of human civilization to free us from mundane tasks, including both physical work and mental work. Machines using horsepower, hydropower, electricity, and/or various other energy forms were invented to liberate us from physical labor. Information technology and artificial intelligence are developed to reduce the workload of our brains. Most of the tasks that have been automated remain relatively simple. As the foundation and a symbol of the level of our civilization, manufacturing is one of the most sophisticated tasks that requires meticulous coordination of many skilled workers and tools. While modern factories have been increasingly automated, most of them are fine-tuned to manufacture a specific product. A generic automatic factory that can produce a wide variety of products based on digital designs is yet on the horizon. AMBOTS is missioned to accelerate the transition to a civilization with fully autonomous and on-demand manufacturing. To realize our vision, AMBOTS is integrating existing and developing new manufacturing technologies to break down a complex manufacturing task into primitive tasks, which are automated and coordinated by autonomous mobile robots. Dr. Wenchao Zhou is an inventor and a professor of Mechanical Engineering, both with a focus on 3D printing. He directs the AM3 Lab in the Department of Mechanical Engineering at the University of Arkansas. The mission of the AM3 Lab is to conceive, research, and develop the next-generation cheaper, faster, and better 3D printers that can compete with existing manufacturing methods in terms of cost efficiency and functionality. 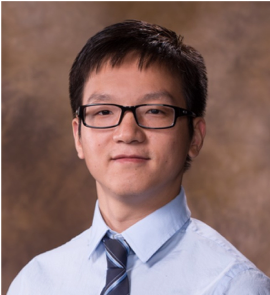 Dr. Zhou’s research has been recognized with several national and international awards, such as the Ralph Powe Junior Faculty Enhancement award, the Outstanding Paper of the Year from the Rapid Prototyping Journal, Best Presentation Award at Solid Freeform Fabrication Symposium, and Best Paper Award at the International Conference on Advanced Research in Virtual and Rapid Prototyping. 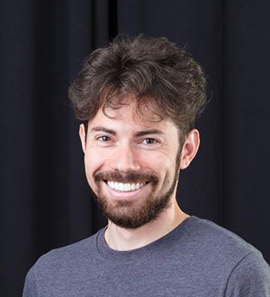 Lucas is a product designer and inventor with a focus on robotics and circuit design. He has designed several products, prototypes, and electronic circuits from the ground up. During his career as an electronics technician at Yamaha Pro Audio, he earned the award for his company of best repair center in the country. Lucas developed the initial and current prototypes of mobile 3D printers, and is continuing to iterate the hardware design to reach the most optimal 3D printing robots. Beyond hardware, Lucas is responsible for overseeing all design and innovation aspects of our company's products and services. This includes product design, graphic design, user experience design, and engineering design. 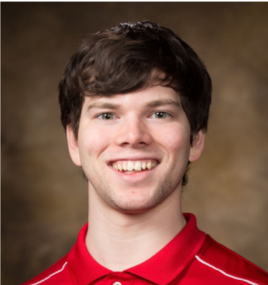 Austin is a software developer with a keen eye for emerging technologies. He enjoys exploring new technologies and finding ways to utilize them to make something better. He is a Scientific Research Technologist at the University of Arkansas for the Civil Engineering department’s Center for Training Transportation Professionals. He’s done freelance software development internationally within industries such as retail (Crosscan GmbH), real estate (Arizona Vacation Home Rentals), Petroleum Engineering (AP Groupe), Transportation (BurgerBüs), Telecommunications (T-Mobile), and Automotive Manufacturing (BMW). AMBOTS understands the obvious potential for 3D printing in manufacturing, and their solution goes far beyond ‘thinking outside the box’.